If you’re looking for a cleaner, more environmentally friendly Kerosenefuel, that is both better for the environment and specially designed to progress your boiler efficiency and help to reduce your central heating costs. 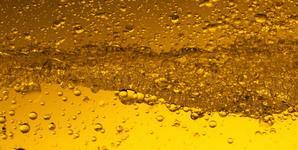 Then Kleenburn Kerosene from Cooke Fuels is a viable alternative to the regular heating oil you may already be using. 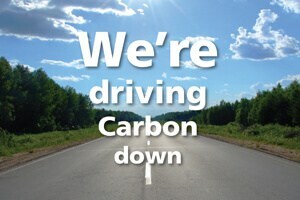 With the move for many, towards reducing their carbon emissions for both homes and businesses. Cooke Fuels set out to develop cleaner burning alternative. We’re pleased to say that after several years of development, our Kleenburn Kerosene is a much improved, cleaner alternative to regular kerosene. It has been specially designed to progress your boiler efficiency and can also help to reduce your central heating costs. Kleenburn Kerosene is a new, clean-burning heating oil from Cooke Fuels. If you would like to learn more, read on below or get in touch with one of the team at Cooke Fuels to learn more and discuss your requirements. ✔ Kleenburn Kerosene is designed to evade common problems that happen in boiler systems. For example blocked filters, piping and dirty heat exchangers all play a part in inefficient systems. If you want to do your bit for the environment and save money on fuel costs, switch to Kleenburn Kerosene today! With ever increasing energy and fuel costs across the industry, it’s becoming more and more imperitive for everybody, including businesses to seek out cheaper alternatives for everything, including Kereosene. Here at Cooke Fuels, we can offer you some of the most competitive pricing in the UK, for your Kereosene requirements, as well as providing you with a fuel that is greener and more efficient to burn. With long term use of Kleenburn Kereosene, you could potentially lower your boiler maintenance costs, since it helps to decreases the accumulation of sludge, giving you a cleaner heating system.